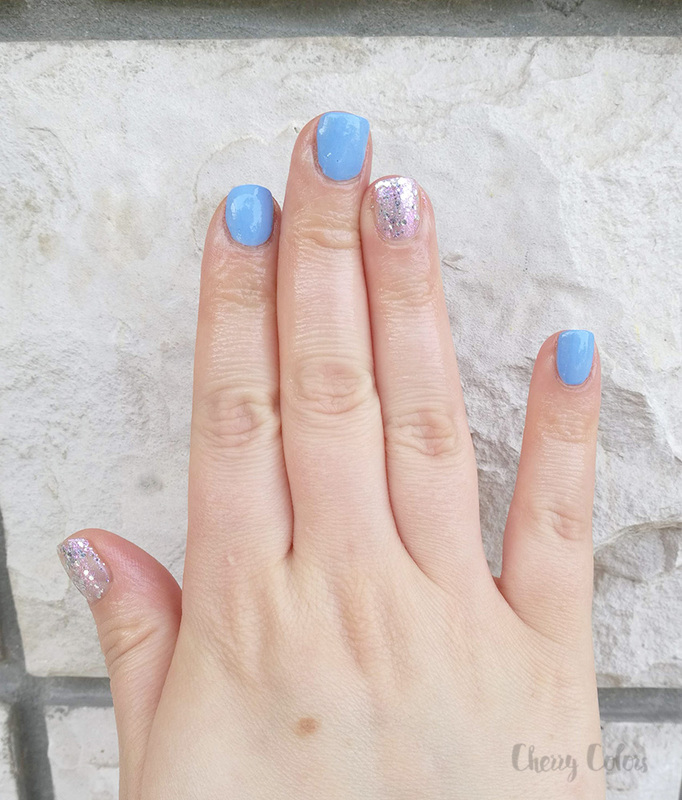 Summer Days Nails - Cherry Colors - Cosmetics Heaven! Who doesn't love Summer? I surely do, especially now that we've got an AC unit and those hot days are a distant memory. 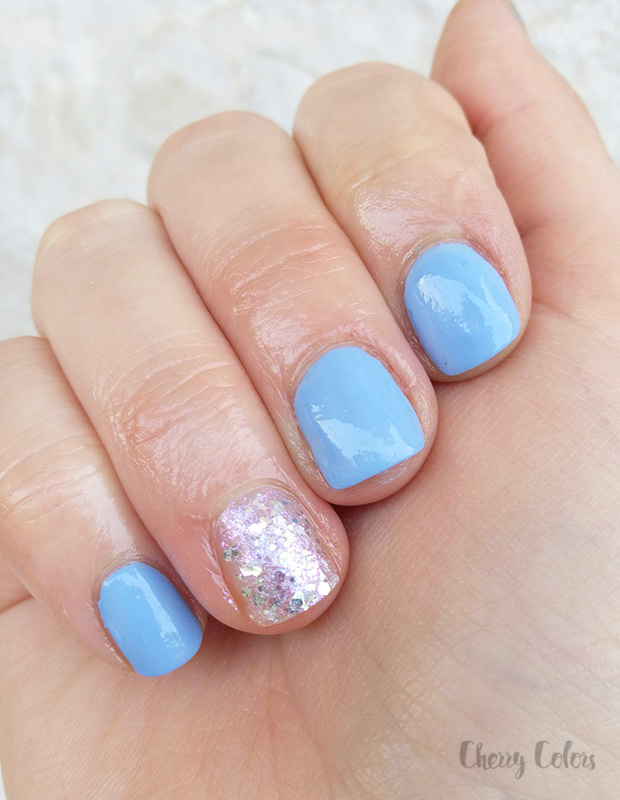 To celebrate this beautiful season, I created a simple manicure using two nail polishes. 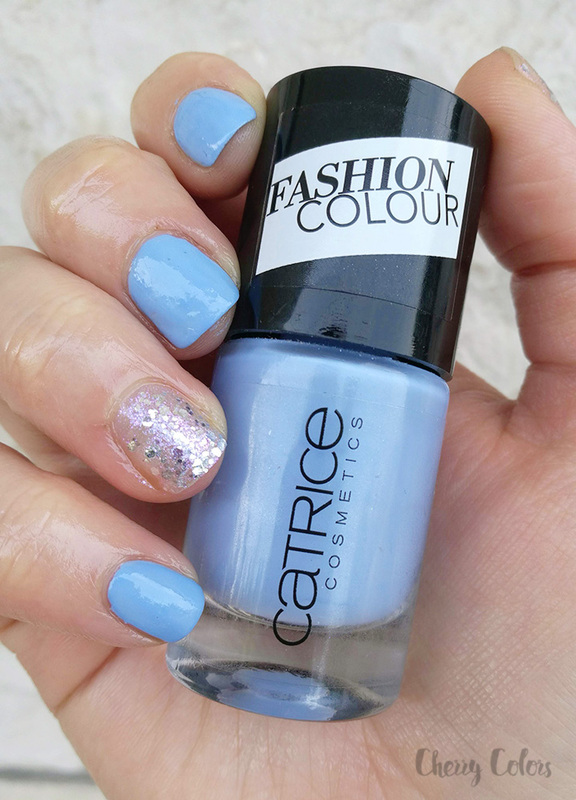 I used two nail polishes - Catrice 114 The Sky So Fly which is a beautiful muted pastel blue and Essence 01 The Glass Slipper (Cinderella TE). 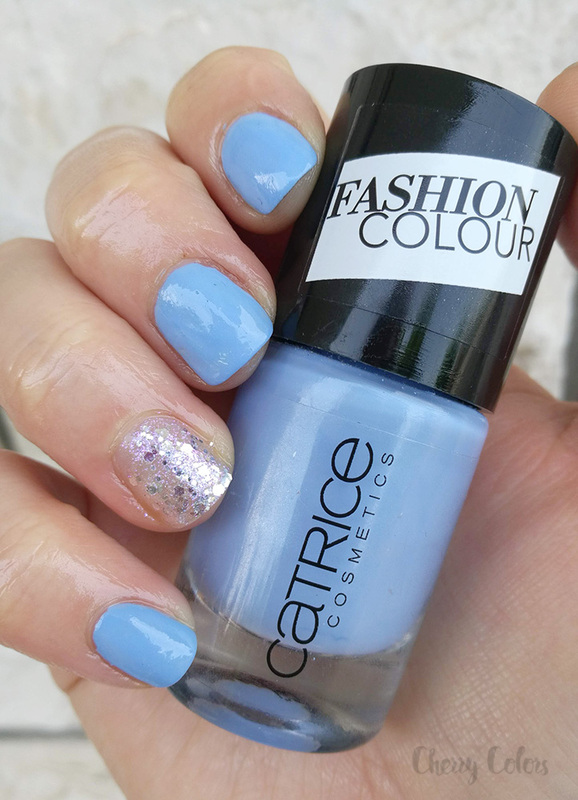 I used two layers of the Catrice nail polish and it took quite some time to dry (about 15 min). I used two layers of this lovely nail polish on my bare hands. As the formula is quite thin I had no problem with the drying time. The removal tho was a nightmare.